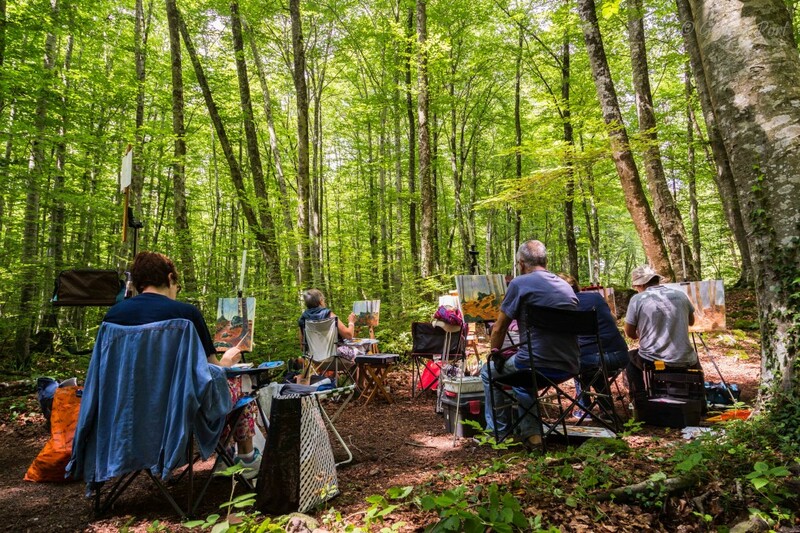 a landscape painter and paint your own painting in the middle of nature. 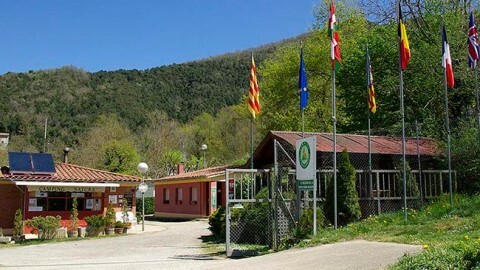 1st day – Arrival at La Garrotxa. 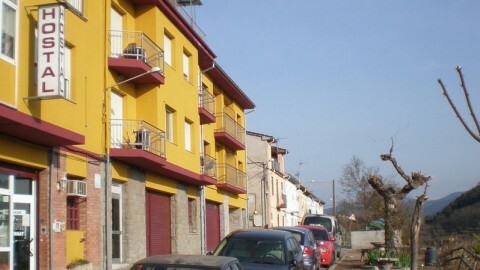 Accommodation in a charming rural hotel in Olot. Dinner at the hotel’s restaurant. 2nd day – Breakfast at the hotel. 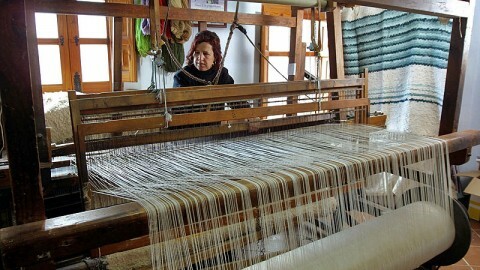 Visit Beuda. Circular guided trip to La Serra del Mont’s peak (1.124m), where we’ll find the Mare de Déu del Mont’s sanctuary, passing through Sant Llorenç de Sous. It’s an impressive and marvellous breath-taking place, amid an incomparable landscape setting: a viewpoint over L’Empordà and La Garrotxa. Picnic lunch of local products. In the afternoon, we’ll visit the county town of Besalú, which conserves a singular Jewish heritage, unique in Catalonia. 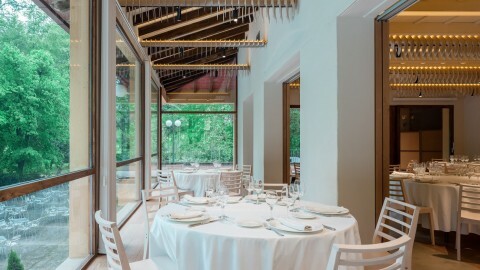 Dinner at a restaurant of Catalan cuisine. 3rd day – Breakfast at the hotel. Guided excursion: “Following the lava f lows”. We’ll first visit the village of Castellfollit de la Roca, which sits on a spectacular basalt cliff. Afterwards we’ll head towards Sant Joan les Fonts, where we’ll visit ‘el molí Fondo’ (old paper factory) to see the three solidified overlapping basalt lava flows, from three different historical periods. Lunch at a restaurant in Olot of traditional and local cuisine. You’ll be able to explore the town centre and discover the modernist buildings. Taste the typical lard sweet bread or the anise cake. In the evening, typical Catalan dinner with bread soaked with tomato, cured meat and cheese. 4th day – Balloon f light over the volcanoes of Catalonia, with brunch of local products. In the afternoon you’ll enjoy horseback riding between volcanoes. An expert guide will take you to the heart of La Garrotxa’s Volcanic Zone Natural Park. Suitable for all levels. 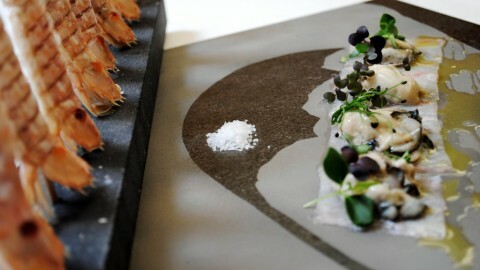 Dinner in a restaurant of Volcanic Cuisine where you can try some of the specialties of the territory. Night activity “Sounds of the forest’ in La Moixina wetlands, near the accommodation. 5th day – Breakfast at the hotel. Activity: “painter for a day”. We will visit the study of a painter and we will meet the Olot Landscape School. You will become painters for a day. You will learn different techniques from a professional painter and paint your own piece of art outdoors. Picnic lunch with local products. Free afternoon. Dinner at a restaurant in Olot. Accommodation. 6th day – Breakfast at the hotel. Check-out. 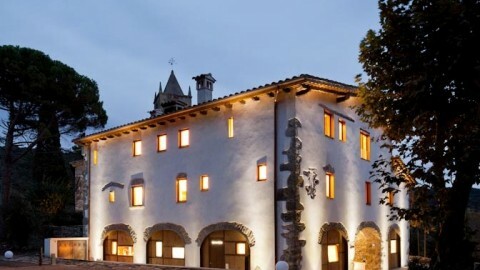 5 nights in a rural hotel in La Garrotxa. 4 lunches included (2 in a restaurant and 2 picnic lunches). 2 walking excursions with official guides. 1 guided horseback riding excursion. Travel from the place of origin to La Garrotxa and from La Garrotxa to the place of origin. Any other service that isn’t included in the program.